Illusion Pearl Chair designed by Khalid Shafar. Since the launch of this eponymous brand in 2010, Emirati designer Khalid Shafar has been focused on bringing a truly international flavor to an aesthetic born in UAE’s desertation. Quitting his corporate role in marketing and communications, Shafar followed his passion in design and has built a furniture and lighting décor line that presents his experiments with shapes, motifs and forms borrowed from his home country. While wood remains the predominant base for most of his designs, the signature pieces from his line include materials such as marble, textiles, metal and locally sourced leather. Traditional crafts from the region are expressed through his work in elements such as palm leaf weaving and reinterpretation of the egal, the black headband from men’s traditional Keffiyeh attire. 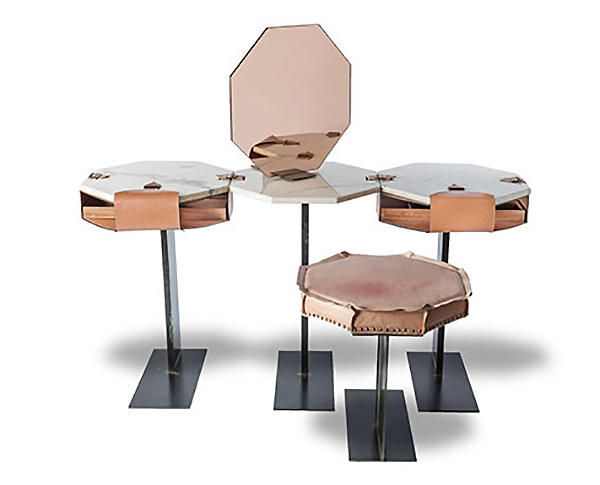 Octa Dress vanity set with vanity table, mirror, and stool by Khalid Shafar. Among his furniture collections is the ‘Decohaus’ collection, inspired by the international design movements of Art Deco and Bauhaus of the 1920s. The collection reinterprets local materials, in this case camel leather, and combines it with the octagon shape found in Middle Eastern and Islamic designs. The range features items such as the ‘Octa Dress’, a vanity table designed on a modular system with side drawers handcrafted from leather. 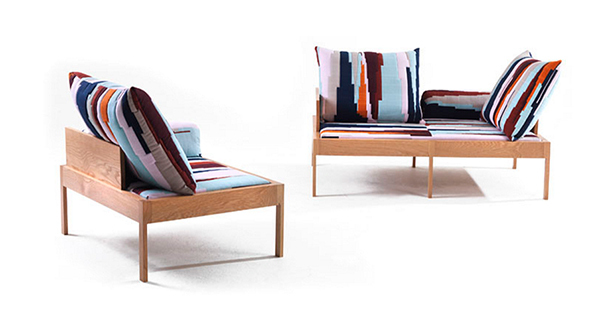 2:4 Seats Collection by Khalid Shafar. Another limited edition collection is ‘Puzzle’, which features three unique editions of handmade wool rugs woven in Afghanistan. “These were designed by me and woven in collaboration with FBMI (Fatima Bint Mohamed Bin Zayed Initiative), a social initiative dedicated to provide women in Afghanistan with employment and to offer them and their families critical social services in healthcare and education,” explains Shafar. 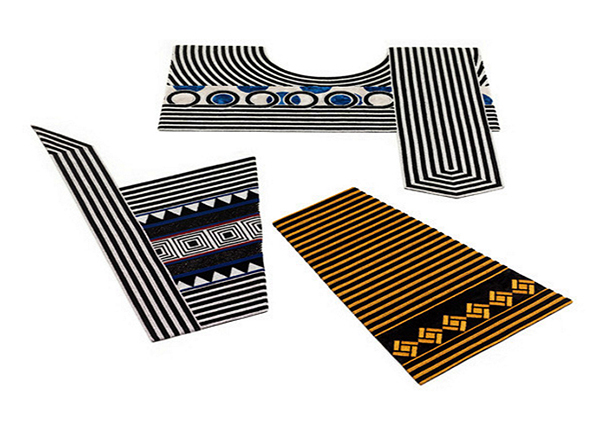 Puzzle Collection of wool rugs by Khalid Shafar. 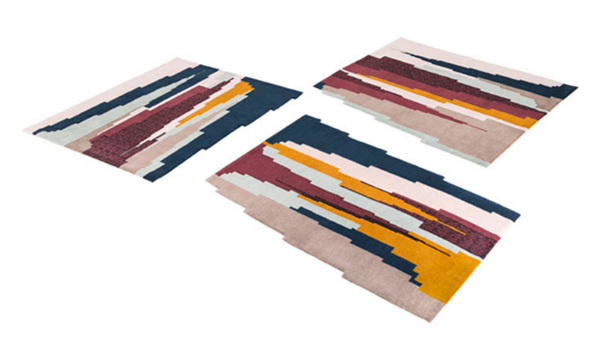 The collection’s puzzle design is inspired by the patterns, which allow any two or all three rugs from the collection to come together and form a large piece. The collaboration with FBMI also involved contributions in design by the Afghani weavers who chose variations of the ‘mauri gul’ motif, which is typically woven by nomads in Afghanistan’s western province of Herat. Talli Collection of rugs & wall hangings by Khalid Shafar. A new carpet collection created with FBMI will be launched by Shafar during the upcoming Dubai Design Week this October 2016. Looking ahead, he aims to continue his experiments with recreating signature patterns in three dimensional forms. There are multiple collaborations with lighting installations and homeware designs on the horizon as well. 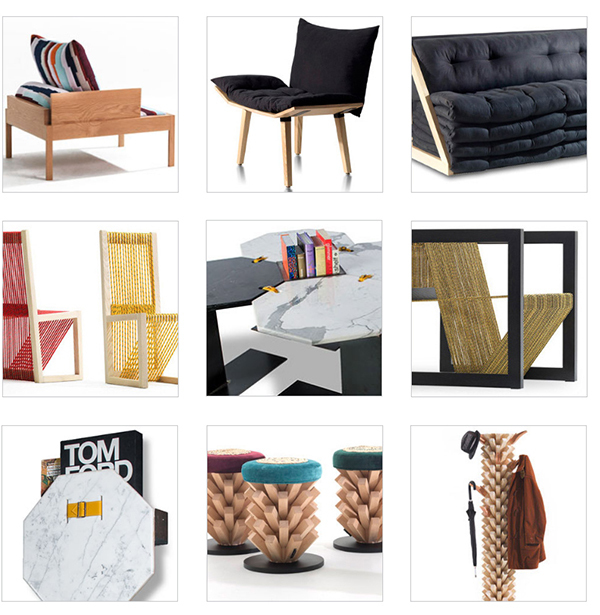 “I would like to focus on my furniture line and working with multiple silhouettes and patterns. Early next year I am looking to launch a new collection, which has already been developed and is at the prototyping stage,” says Shafar. Furniture designs from Khalid Shafar career from 2010-Present. This article was written by journalist Manika Dhama, featured here on Interiors by Jacquin in 2015. I am so glad Manika brought my attention to this world-class designer. Khalid Shafar‘s designs are quite impressive. 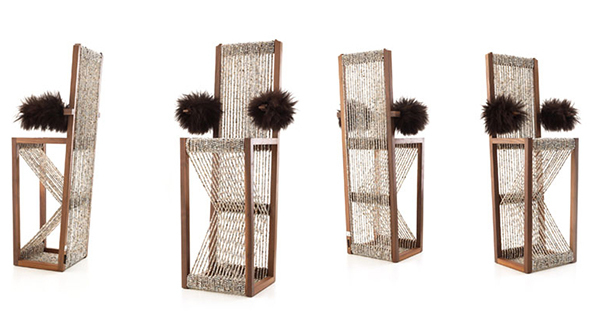 My favorite designs from Shafar include his gorgeous ‘Illusion Pearl Chair‘ and ‘Octa Dress‘ vanity, both shown above. We look forward to seeing Shafar’s new collection of rugs this October 2016, which will be launched during Dubai Design Week.